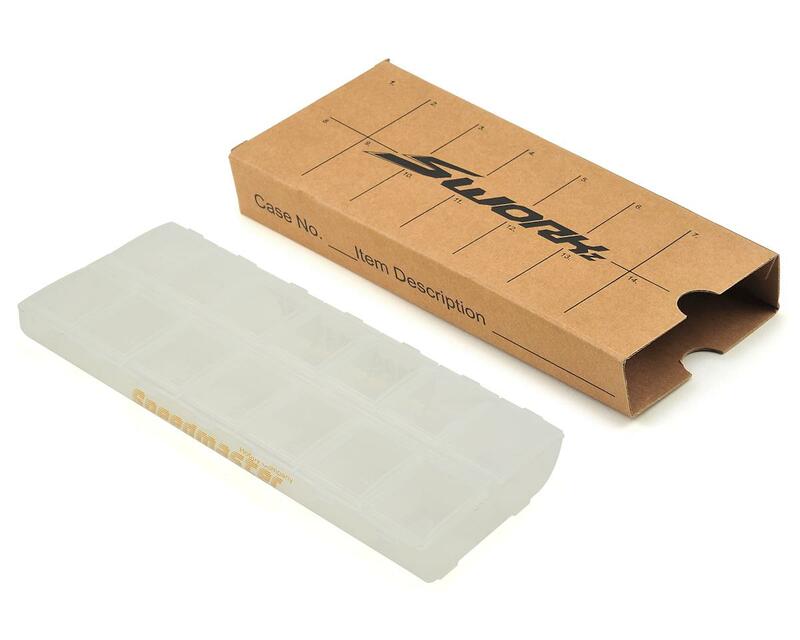 This SWorkz Speedmaster 10th Anniversary Screw Box features two rows of 7 compartments, for a total of 14 compartments. Each compartment is secured with a plastic door that secures the contents inside. 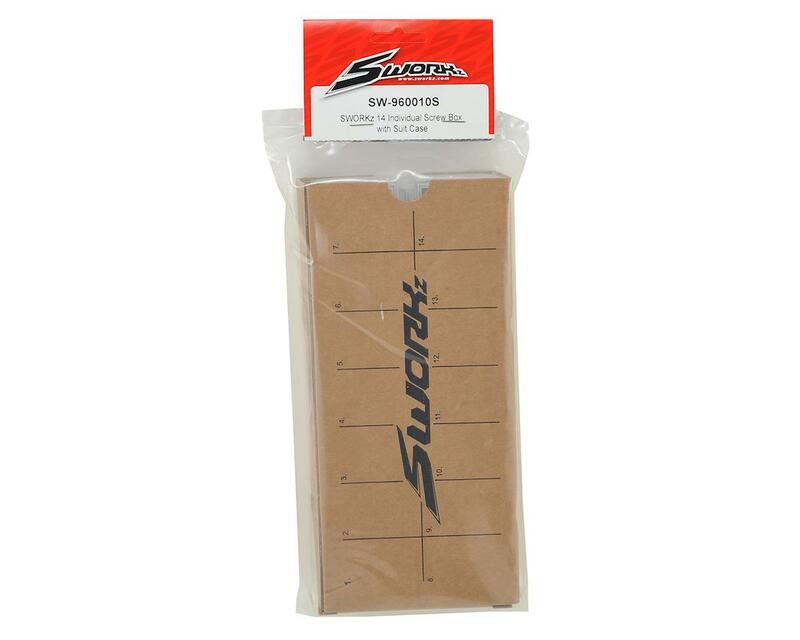 This SWorkz Screw Box includes the Screw Box Suit Case, which is also available separately (SWX-520040). 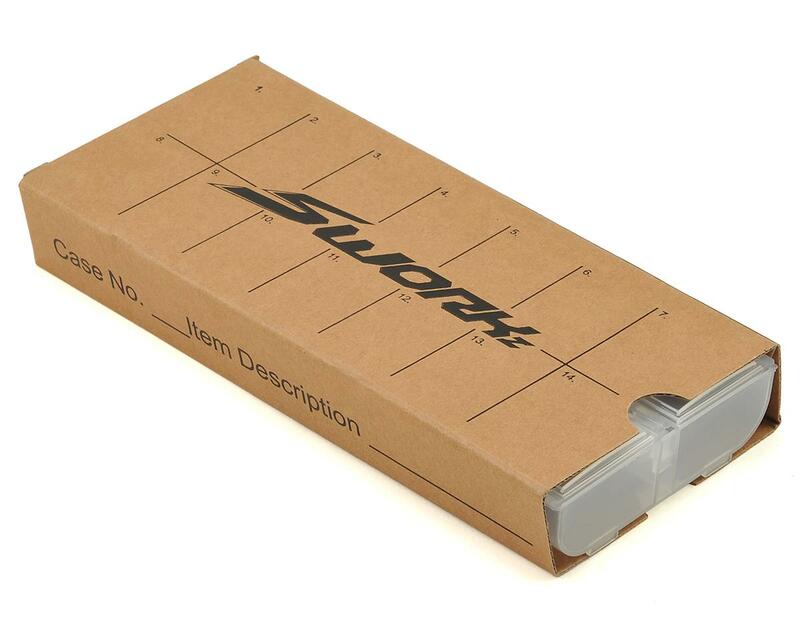 The Screw Box is also available without the Suit Case (SWX-960010). This screw box is super nice. It's heavy-duty enough to hold heavy 4x15 flat heads and similar without deforming. I've got mine loaded up with heavy screws and don't see any signs of stress on the box. I flipped it upside down fully loaded and none of the well covers popped open. I wouldn't recommend labeling the suit case until you finalize screw organization in each well. I might buy another one to hold bearings.